Twickenham Experience head of sales and marketing Simon Mills is to leave next month and will be replaced by Amir Vered. Vered will join Twickenham Experience – which operates all non match day meetings, conferences and events at Twickenham Stadium – on 19 November. Meanwhile, Mills will leave the business on 21 November to pursue marketing opportunities. "I am keeping an open mind but my skill set is in marketing and I have a couple of projects bubbling away," said Mills, who was previously head of business visits and partner marketing at Visit Britain until March 2011. Vered will be responsible for growing revenues within Twickenham Stadium’s purpose built conference and events centre. Twickenham Experience managing director Chris Morris said: "Appointing Amir Vered is confirmation of our continued ambition to grow and develop our proposition as the venue of choice for both UK and overseas C&E clients. "Amir brings with him many years of experience within the events sector. 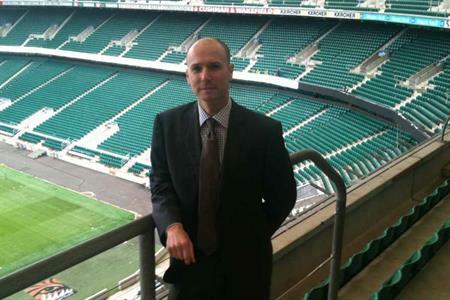 He is well known and respected by venue agencies and corporate clients and will help us realise the full potential of the world class facilities we have at Twickenham Stadium." Vered joins from a role as head of sales at Wembley Stadium.